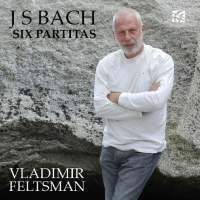 Vladimir Feltsman’s 1999 Bach Partitas first appeared around a decade ago on the Urtext label, coupled with the same composer’s Two- and Three-Part Inventions. Although only the Partitas resurface on this Nimbus release, Feltsman’s inspired performances surely won’t make listeners feel short-changed. In a 1993 masterclass Feltsman encouraged his young pupils to communicate each Partita movement’s dance origins, and that’s exactly what his buoyant tempi for the Courantes and Menuets convey. 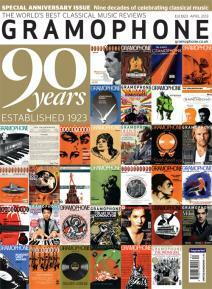 He also practises what he preached about having fun with repeats by varying the voicings, accents and articulations. Astute ears will also pick up on Feltsman’s transposing certain phrases up or down an octave, albeit to a far more discreet degree than his compulsive register-jumping in the Goldberg Variations. Second instalment for Biss’s Beethoven sonata cycle The second volume of Jonathan Biss’s Beethoven cycle for Onyx begins with the Op 7 Sonata, where the first movement grabs your attention by virtue of the pianist’s lean sonority, linear clarity and headlong yet controlled brio. Rapt concentration and strong dynamic contrasts prove no less riveting in the Largo. Biss’s sensitively sculpted Allegro is a tad careful and square when measured alongside Stephen Kovacevich’s over-the-bar-line animation but the Rondo stands out for the pianist’s lyrical inflections and strongly anchored bass-lines. Compared to the polished yet glib G major Fantasy that opened his 2005 EMI debut, Biss’s remake digs deeper into detail, such as the added breadth in the introductory episode’s quieter moments and the stronger melodic profile of the arpeggios in the B major section. Biss brings graceful simplicity to the Moonlight Sonata’s celebrated opening Adagio and plays the Allegretto with chamber-like attention to inner counterpoints. Collectors recalling Wilhelm Kempff’s intimately scaled and thoughtfully nuanced Presto will appreciate Biss’s approach, although it’s certainly less agitato and fierce in the manner of, say, Garrick Ohlsson or Stewart Goodyear. Biss is at his best in the little Op 78 Sonata. He unfolds the first movement’s rotary patterns with feathery suppleness and songful momentum, while bringing just the right rollicking character, lightness and witty timing to the finale, especially in the composer’s quick shifts from major to minor mode and back again. In sum, Biss’s Beethoven has appreciably evolved and hopefully will continue to do so over the course of future volumes.